This month we’re starting with Stephen King’s It which I haven’t read and have absolutely no intention of doing so. Far too cowardly! I know very little about King’s novel but the blurb tells me it’s set in Maine which gives me the opportunity to scuttle quickly back into my comfort zone. J. Courtenay Sullivan’s novel Maine has a New England summer home setting and family secrets to reveal, both favorites for me. Kate Atkinson’s Behind the Scenes at the Museum is one of the best family secrets novels I’ve read. A multitude of clues are spilled finally revealing what’s been puzzling Ruby Lennox for much of her life. Atkinson’s beautiful structured, often very funny novel won her the Whitbread Book of the Year award back in 1995 before it became the Costa. The eponymous Cathy from Anna Stothard’s The Museum of Cathy is also keeping secrets, this time from her fiancé. The arrival of a package with no name or note attached threatens to unravel her new life in this nicely taut novel which has some gorgeous descriptions of the natural world. The Museum of Cathy is set in Berlin leading me to Gail Jones’ A Guide to Berlin in which six people – all Nabokov aficionados, all visitors to the city – gather together to discuss the work of their literary hero but begin by telling their own stories. Jones is also the author of Sixty Lights about a woman’s fascination with the newly emerging photographic technology which leads me to William Boyd’s Sweet Caress, an homage to woman photographers. It follows the life of Amory Clay from snapping socialites to documenting war in a career spanning much of the twentieth century. You could think of it as the female equivalent to Any Human Heart if you’re a Boyd fan. In his novel’s acknowledgements Boyd mentions the war photographer Martha Gellhorn, one of the three wives of Ernest Hemingway whose stories were fictionalised in Naomi Wood’s Mrs Hemingway. I put off reading Wood’s novel for some time owing to my Hemingway antipathy but enjoyed it very much. This month’s Six Degrees of Separation has taken me from a fraught New England summer holiday to the South of France in the 1920s, equally fraught at times. Part of the fun of this meme is comparing the very different routes other bloggers take from each month’s starting point. If you’re interested, you can follow it on Twitter with the hashtag #6Degrees, check out the links over at Kate’s blog or perhaps even join in. This entry was posted in Reviews, Six Degrees of Separation and tagged #6Degrees, A Guide to Berlin, Anna Stothard, Behind the Scenes at the Museum, Gail Jones, J. Courtney Sullivan, Kate Atkinson, Maine, Mrs Hemingway, Naomi Wood, Sweet Caress, The Museum of Cathy, William Boyd on 2 December 2017 by Susan Osborne. Two of May’s second batch of paperbacks made it on to my 2015 ‘books of the year’ list, my favourite of which was Belinda McKeon’s Tender which I’d hoped to see on the Bailey’s Prize longlist. Catherine and James meet in Dublin in 1997 and almost instantly click. He’s tactile and outgoing, yet tender-hearted, while she’s self-conscious, buttoned-up and naïve. Before too long everyone’s convinced they’re a couple. When James tells Catherine he’s gay, she basks in the glamour of this new sophisticated status, spilling the beans to those James has not yet told. Then things take an altogether different turn towards obsessive and impossible love. The novel ends in 2012 with Catherine and James established in their adult lives – one happy, one not. It’s a profoundly involving novel – raw yet compassionate – and a very moving one. 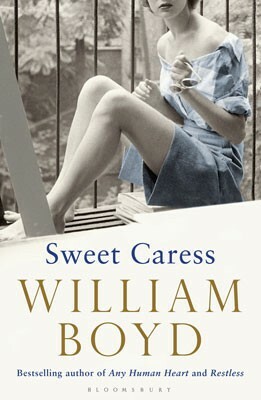 There’s a good deal of compassion in William Boyd’s Sweet Caress, a welcome return to Any Human Heart territory after one thriller too many for me. It follows the life of Amory Clay whose photography takes her from snapping socialites to documenting war in a career spanning much of the twentieth century. Like so many of his generation, her father returned from the First World War a changed man, unable to show the affection Amory craves. Her Uncle Greville’s gift of a camera offers solace, setting Amory off on a path which leads her across the world. Boyd is a masterful storyteller with a magpie-like eye for bright period detail. There’s even a bit of the thriller in it, but essentially this is a book about war and its consequences. A fine novel, both entertaining and enlightening. Sarah Moss’s Signs for Lost Children follows on from her previous novel, picking up Ally and Tom’s story from where Bodies of Light left off. Newly married, they face separation as Ally practices as a doctor at Truro’s asylum – albeit unpaid – and Tom travels to Japan to advise on building lighthouses. Lonely and still mourning the sister she believes drowned nine years ago, Ally gives in to her mother’s demands to put her skills to better use in Manchester, briefly suffering a relapse in her own mental health before returning to Cornwall. Meanwhile, Tom’s loneliness is exacerbated by plunging into a culture of which he knows nothing. Slowly, he comes to understand the beauty of this endlessly puzzling country, forging a friendship with the man assigned as his guide. It’s a beautifully executed novel which asks big questions, many of which are as relevant now as they were in Ally’s time. Shame about that jacket, though. The hardback edition’s lacked the female figure which appears to be stuck-on. I’ve not read either of the next two titles. Kathleen Alcott’s Infinite Home is about the tenants of a Brooklyn brownstone – each very different from the other and each challenged in some way – who come together when their home is threatened. It’s billed as ‘a poignant story of how a community is built and torn apart, and how when lives interweave a beautiful and unusual tapestry is made’ which could be interpreted as sentimental schlock but it’s an attractive premise and I’ve enjoyed novels based on apartments blocks as communities before. That’s it for May. A click on the first three titles will take you to my review if you’d like to know more, and to Waterstones website for the last two. And if you’d like to catch up with the first instalment of paperbacks it’s here. Hardbacks are here and here. This entry was posted in Random thoughts, Reviews and tagged Any Human Heart, Belinda McKeon, Bodies of Light, Elizabeth Day, Infinite Home, Katherine Alcott, Paperbacks published in May 2016, Paradise City, Sarah Moss, Signs for Lost Children, Sweet Caress, Tender, William Boyd on 29 April 2016 by Susan Osborne. My third batch of 2015 favourites starts off on a note of sadness. I’ve long been a champion of Kent Haruf’s beautifully pared back, elegant novels set in Holt, Colorado and so was very sorry to hear that Our Souls at Night was to be his last. Haruf died in 2014, a sad loss at only sixty-nine. This final novel is also set in Holt – how could it not be? – and feels like a fitting end to the series: a beautiful, tender meditation on ageing and the joy it can sometimes bring along with sorrow. 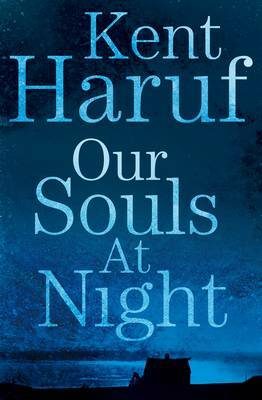 Haruf’s insightful writing is clean and simple, stripped of ornament and all the more powerful for it. My second June choice is also notable for its gorgeous writing. Beginning in 1997, Tender portrays the pain of being gay in a country that had only decriminalised homosexuality five years before. Catherine and James meet in Dublin when James returns from his Berlin stint as a photographer’s assistant to reclaim the room Catherine has been renting for her first year at Trinity. Entirely different from each other, they almost instantly click. Eventually, James tells Catherine he’s gay and soon she‘s basking in the glamour of this new sophisticated status, spilling the beans to those he’s not yet told. Eventually things take an altogether different turn towards obsessive and impossible love. It’s a profoundly involving novel – raw yet compassionate – and a very moving one, particularly as I read it at the time of the June referendum on gay marriage in Ireland which answered the question with a resounding ‘yes’. Good enough for me to include on my Man Booker wish list but, once again, the judges thought otherwise. 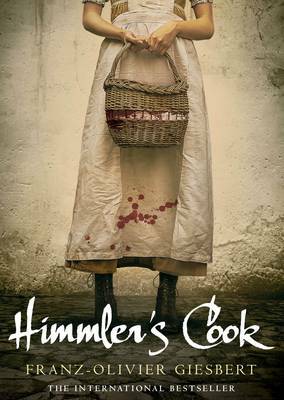 Entirely different, Franz-Olivier Giesbert’s Himmler’s Cook took me on a romp through twentieth century history. At the age of one hundred and five, Rose has decided to write her memoir and she’s got a lot to get off her chest. Born in a tree somewhere near the Black Sea in 1907, Rose has travelled the world but always returns to Marseilles where she still runs a restaurant. She’s a believer in ‘the forces of love, laughter and vengeance’ a credo that’s got her through the Armenian genocide in which the rest of her family perished, the horrors of the Second World War when Himmler took a fancy to her, and the miseries of Mao’s Great Leap Forward when she lost her second husband. Rose is a fabulous character and, unlikely as it may seem, there’s quite a lot of knockabout humour amidst the genocidal activities of the various despots she encounters. Andreas Egger, the protagonist of Robert Seethaler’s A Whole Life, is the antithesis of Rose, leaving his Austrian alpine home just once to go to war in Russia where he remained for nine years as a prisoner-of-war. It’s barely one hundred and sixty pages, but Seethaler’s novel reveals a life far richer than you might expect. Egger is painted as a simple soul – he’s stolidly practical, feels adrift even a few miles away from his Austrian valley and finds women impossible to fathom – yet he’s a great romantic. Seethaler’s style is wonderfully clipped and matter of fact, punctuated by the occasional philosophical reflection or lyrical descriptive passage. A lovely novel whose setting reminded me of holidays past. It’s always a joy when a favourite author returns to form after a string of disappointments. William Boyd’s new novel has its feet firmly planted in Any Human Heart territory after several dalliances with thrillers. I’d all but given up on him but the synopsis for Sweet Caress was hard to resist. It follows the life of Amory Clay whose photography takes her from snapping socialites to documenting war in a career spanning much of the twentieth century. Boyd at his best is hard to beat. He’s a masterful storyteller with a magpie-like eye for bright period detail, seamlessly threading historical bits and pieces through his narrative. Critical reception was a little mixed, apparently, but I thought this was a fine novel, both entertaining and enlightening. 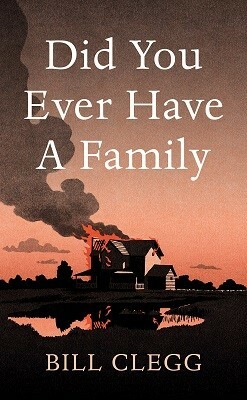 This summer selection ends with Bill Clegg’s Did You Ever Have a Family which appeared on the Man Booker longlist – at last we agreed. The night before her daughter’s wedding June’s house burns to the ground with her daughter and her fiancé, her ex-husband and her boyfriend inside. In a state of shock and grief, unable to bear the endless stream of condolence, she flees the small Connecticut town where she’s been living for three years in the holiday home she once rarely visited. The bare bones of what happens in Clegg’s carefully assembled novel hardly do it justice: at its heart is the human condition and what that means to us all. That’s it for summer favourites. A click on a title will take you to my review. Just one more short post for the rest of the year before it’s time to look forward to 2016, and the delights on offer in January. If you missed the first two posts they’re here and here. This entry was posted in Random thoughts, Reviews and tagged A Whole Life, Anthea Bell, Belinda McKeon, Bill Clegg, Books of the Year 2015, Charlotte Collins, Did You Ever Have a Family, Franz-Olivier Giesbert, Himmler's Cook, Kent Haruf, Our Souls at Night, Robert Seethaler, Sweet Caress, Tender, William Boyd on 11 December 2015 by Susan Osborne. Oh joy! William Boyd’s back on form with his new novel which has its feet firmly planted in Any Human Heart territory. Boyd set off on a thriller trajectory with the excellent Restless, picked up by Richard and Judy back in 2007, which I followed loyally despite an increasing disappointment: Waiting for Sunrise ended up in the charity shop just before my aunt announced that her reading group had chosen it. I’d all but given up on him but the synopsis for Sweet Caress was hard to resist. It follows the life of Amory Clay whose photography takes her from snapping socialites to documenting war in a career spanning much of the twentieth century. Born in 1908, Amory enjoyed an unremarkable childhood. Her father, whose one writing success paid for the family’s comfortable middle class life, entertained his children with handstands, happy to play the fool until, like so many of his generation, he returned from the First World War a changed man. Her uncle Greville’s gift of a camera offers solace, setting Amory off on a path which will lead her across the world. Aged nineteen, after a dramatic end to her studies, Amory finds herself working as Greville’s assistant – hunting down subjects for his London society photographs – then taking the photographs herself. Clearly frustrated by the triviality of her work, Amory takes up Greville’s suggestion of a few weeks in Berlin – famed for its decadence – embarking on an adventure whose photographic results will land her in court. Her encounter with Cleveland Finzi, editor of the American pictorial magazine Global-Photo-Watch, results in both an affair and a further twist in her career leading her to New York, then back to London – documenting the British Union of Fascists with disastrous personal results – then to France, now at war, where she will come into herself. Amory’s life, loves and work play out against the backdrop of events upon the world’s stage in much the way that Logan Mountstuart’s did in what many regard as Boyd’s best novel, Any Human Heart. Boyd at his best is hard to beat. He’s a masterful storyteller with a magpie-like eye for bright period detail, seamlessly threading historical bits and pieces through his narrative. As Amory looks back on her life from her cottage on a remote Scottish island in 1977, she weaves vibrant memories through her journal, telling her story and augmenting it with hindsight, scattering hints foreshadowing future events here and there. Just as W. G. Sebald did in his novels, Boyd punctuates his narrative with photographs adding a touch of verisimilitude and allowing him to explore historical asides. His characters are wonderfully fleshed out, entirely believable, and his story is vividly told – the Berlin scenes are particularly striking. There’s even a bit of the thriller in it, but essentially this is a book about war and its consequences: from her father’s psychiatric problems to the Australian photographer with whom she has a brief last fling in Vietnam, war has left a string of casualties running through Amory’s life. A quick check of the acknowledgements tells you that Sweet Caress is a tribute to women war photographers, many of whom Amory encounters from her Berlin friend Hannelore Hahn to the veteran Mary Poundstone who helps establish her in Vietnam. A fine novel, then, both entertaining and enlightening. What a relief! This entry was posted in Reviews and tagged Any Human Heart, Bloomsbury Books, British Fiction, Hannelore Hahn, Mary Poundstone, Restless, Sweet Caress, Wait Until Sunrise, women war photographers on 2 September 2015 by Susan Osborne. Just back from my Baltic states jaunt – of which more in a few days – and barely unpacked so here’s one I made earlier. September’s traditionally a big month for publishing – Christmas is on the horizon for booksellers even if the rest of us are busy sticking our heads in the sand and ignoring it. Consequently there are some starry names shining out from the schedules but you won’t find all of them here, just the ones that appeal to me. I’ll kick off with a novel by one of those stars, albeit one I’ve become a bit disenchanted with lately. I was a great fan of William Boyd’s Restless, the first of his novels that could be called a thriller. He’s continued in that vein for the last three or four books but the novelty’s worn off for me; Waiting for Sunrise very nearly put the kybosh on my Boyd fandom. Sweet Caress, however, looks like a welcome return to Any Human Heart territory. It follows the life of Amory Clay whose Uncle Grenville fills the gap left by her emotionally and physically absent father and who gives her a camera setting her on a path that will take her from snapping socialites in his London studio to Berlin in the ’20s, New York in the ’30s and on to a career as a war photographer. Lovers, husbands and children flesh out a life fully lived, apparently. Sounds like a thoroughly enjoyable return to form to me. 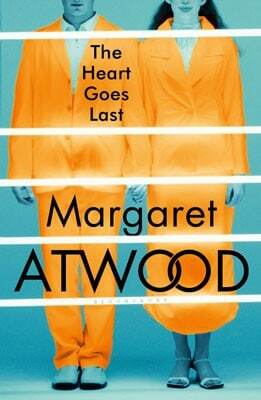 Truth be told I’ve also fallen out of sympathy with Margaret Atwood’s novels over the past few years but I like the look of The Heart Goes Last. It’s about Stan and Charmaine, living in desperate economic straits. An advertisement for the Positron Project, a social experiment offering stable jobs and a home, seems to be the answer. All they have to do is give up their freedom on alternate months, swapping their home for a prison cell. Soon they’re in the grips of an obsession about the couple who live in their house when they’re not there. ‘A sinister, wickedly funny novel about a near-future in which the lawful are locked up and the lawless roam free’ according to the publishers. Published a few years ago, Gregoire Delacourt’s charming The List of My Desires had a super-sweet jacket but a nicely sharp edge. In The First Thing You See young car mechanic Arthur Dreyfuss opens his apartment door one day to find a distressed Hollywood starlet but neither Arthur nor Jeanine Foucamprez, with her fake American accent, are quite what they seem. I’m hoping for some thoughtful insight wrapped up in a nice little story. This one may seem an obscure choice but Beate Grimsund’s A Fool, Free sounds intriguing. It looks at mental illness through Eli Larsen, a talented and successful author and film-maker who has heard the voices of Espen, Erik, Prince Eugen and Emil in her head since she was a child, but kept them secret. Described as a ‘candid and beautiful novel’, Grimsund’s book won the Norwegian Critics Prize. 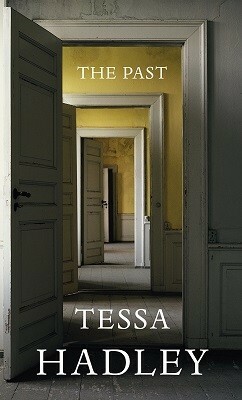 I’ve enjoyed all five of Tessa Hadley’s novels. She writes the kind of quietly intelligent books packed with shrewd observations that I associate with Carole Shields. In The Past three sisters and a brother share a few hot summer weeks together in their grandparents’ old house which is to be put up for sale. Inevitably all does not run smoothly as past and present tensions take hold. I expect lots of entertaining sniping amongst the reminiscing, and we’re promised ‘an ugly secret in a ruined cottage in the woods’. Sounds excellent. That’s it for the first batch of September titles – a click on the title will take you to Waterstones website for a more detailed synopsis should you be interested. And if you’re still catching up with August, here are the hardbacks and here are the paperbacks. Part two will be here in a week or so. This entry was posted in Random thoughts, Reviews and tagged A Fool Free, Any Human Heart, Beate Grimsund, Books published in September 2015, Gregoire Delacourt, Margaret Atwood, Restless, Sweet Caress, Tessa Hadley, The First Thing You See, The Heart Goes at Last, The LIst of My Desires, The Past, The Story of the Lost Child, Waiting for Sunrise, William Boyd on 10 August 2015 by Susan Osborne.